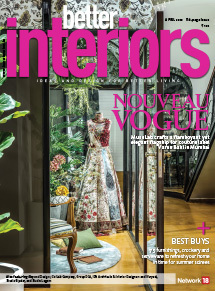 Interior designers Rishita Das and Rushda Hakim have proved here that intricate fretwork can turn a simple space into a stylish one. Done on wood, fibre, stone, engineered stone, or semi-precious claddings, it can turn a seemingly dull or boring surface into an interesting one. 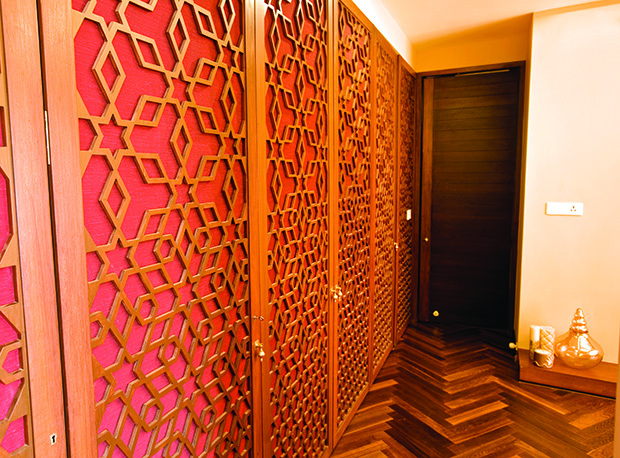 Closet and window shutters, doors, side panels of consoles, table legs and settee arms can all be brought alive with fretwork.